Check out Mosanweb's free SSD web hosting, which is 100% available on high-performance SSD (NVMe). Easily manage your mail, FTP, SQL, DNS and more with cPanel. Open your free account here in 5 minutes. The basic tools to manage FTP, DNS, mails and databases moreover a space dedicated to files, security, version selector of PHP, SoftaCulous and its 400 scripts available in one click, a Web Builder to build your site from your browser, full access to all logs and security ( protect your site with Let's Encrypt). Disk space is always SSD NVMe, so your site is quickly searchable. You'll get the full functionality of the cPanel management panel, giving your web hosting all the tools to manage your site. The "LiteSpeed© Web Server" enabled by default. Register a domain name allows you to create a real domain name. Transfer a domain name transfer your domain name to group it on your hosting. 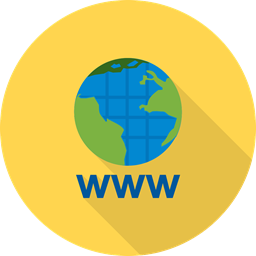 Register on one of our subdomains for free to have a free domain name to make your site accessible anyway. 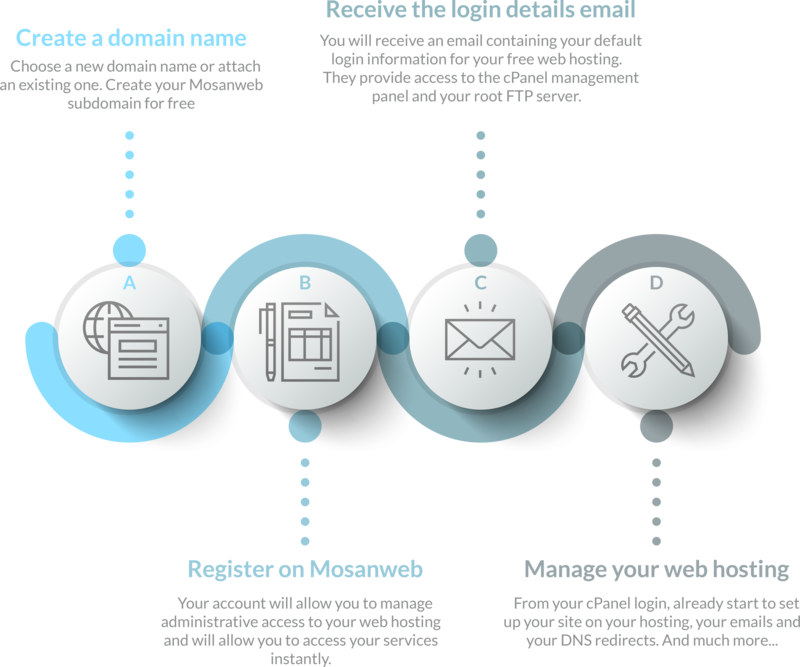 Confirm your email address and register online to register on our platform and access your services directly. Your free hosting will be immediately created and you will receive an email containing your default credentials. Then you just need to handle yourself your web hosting and send your site through FTP. What are the free hosting restrictions? Get more SSD disk space and fast, human-friendly technical support. This free offer is only available to a single user. The duration of a subscription is unlimited, but it is possible that in the future this offer is limited to itself a participation of departure. It is forbidden: any defamatory, racist, xenophobic, sexual content. Phishing attacks, denial of service and other hackers are quickly removed without notice. Please respect the laws of Belgium, France and the European Union regarding digital laws, respect of copyright and privacy. We do not accept any sexual content, or any other type of illegal content and / or content subject to unauthorized copyright. Any suspicion will not be taken lightly and will lead to a definitive closing of the account. In order to expand your available space and benefit from our technical assistance it will be necessary to upgrade your pack. The subscription is for unlimited duration (for life) and therefore usable in the long term, we assure it with a significant availability of service and it is also without commitment. Portal Home > Créez votre site gratuitement!